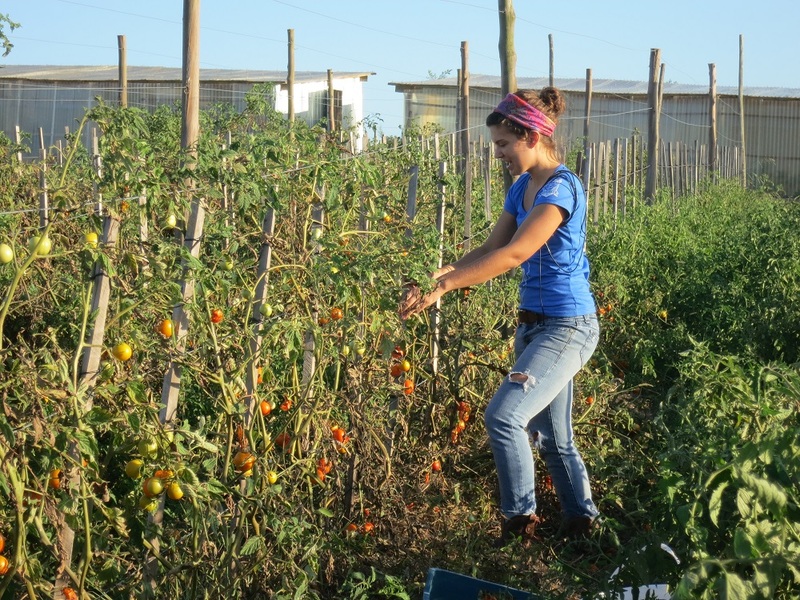 The garden was in full swing this summer and we fought hard to keep things flourishing. But it was once again lost a lost cause with no rain and lots of heat. So we began to close things down and started thinking about fall plantings. Even before we could get the beds cleared and seeds sprouted in the green house the rains and cold weather hit. So we have been working on winterizing the garden, pulling out old crops, hauling them to the chickens and pigs and mulching the beds. This garden bed is not really Sleeping but is planted in GARLIC! Garlic is a plant in fall harvest 9 mo. later kind of food. And it gets planted in fall. If it doesn’t overwinter the heads are tiny with no real cloves. It’s the perfect thing to plant for replenishing a bed – it’s a cheater’s kind of fallow. The garlic cloves get HEAVILY mulched – about two inches of mulch on top of the planted cloves. After harvesting the hoped for garlic bulbs, the decomposing compost / mulch gets turned under in spring. 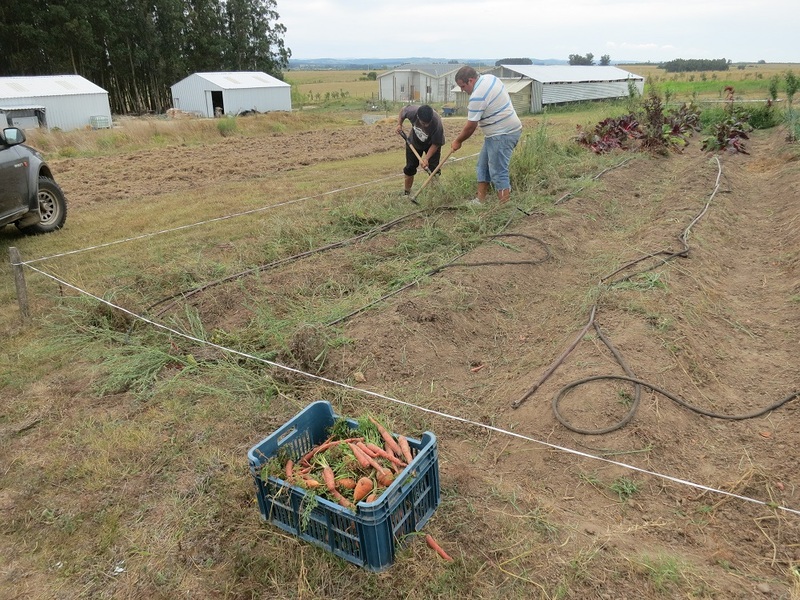 The gardner gets a crop while revitalizing the soil at the same time. That is if the cloves don’t drown from the rain or get topped by the birds. But that’s the trials of gardening. 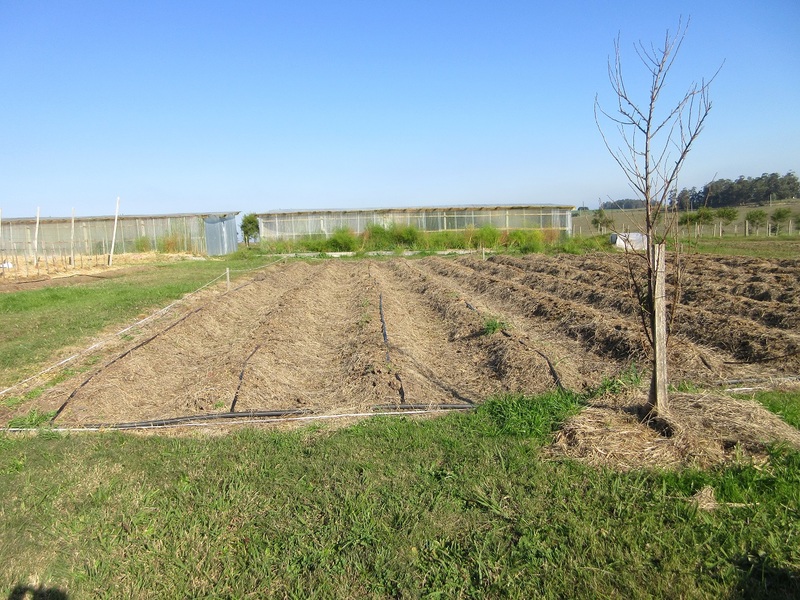 The tomato beds has been mulched – if the weather breaks and warms up a wee bit in July Megan will plant the rows in fave beans – adding nitrogen for the spring planting and a bean harvest to boot. All weather dependent of course. 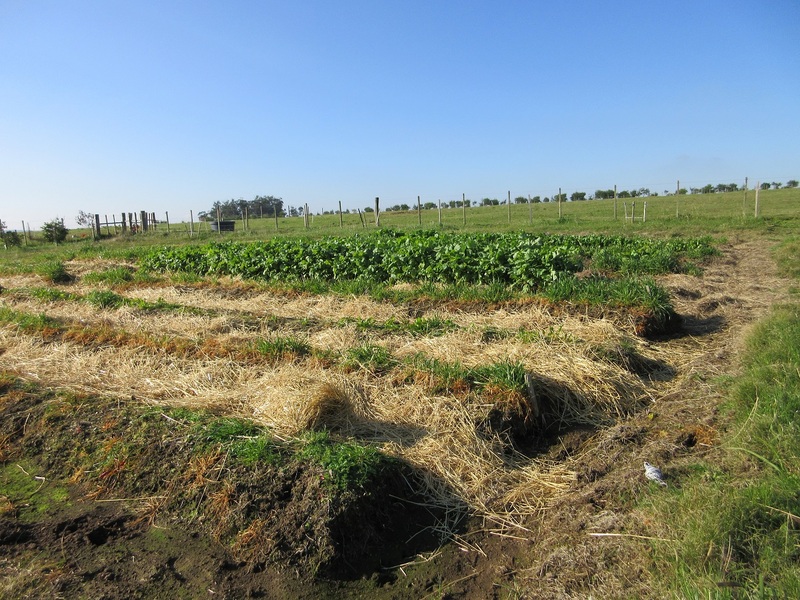 Some beds actually got seeded before the cold rains hit. The winter mustard, radishes, and a few struggling beets are in bed 9. Those beds which had rows prepared prior to the rain were planted in oats. The oats act as a fallow rotation and let us easily cut greens for the rabbits. We didn’t get all the oats in before the rain and nothing grows in the mud right now. 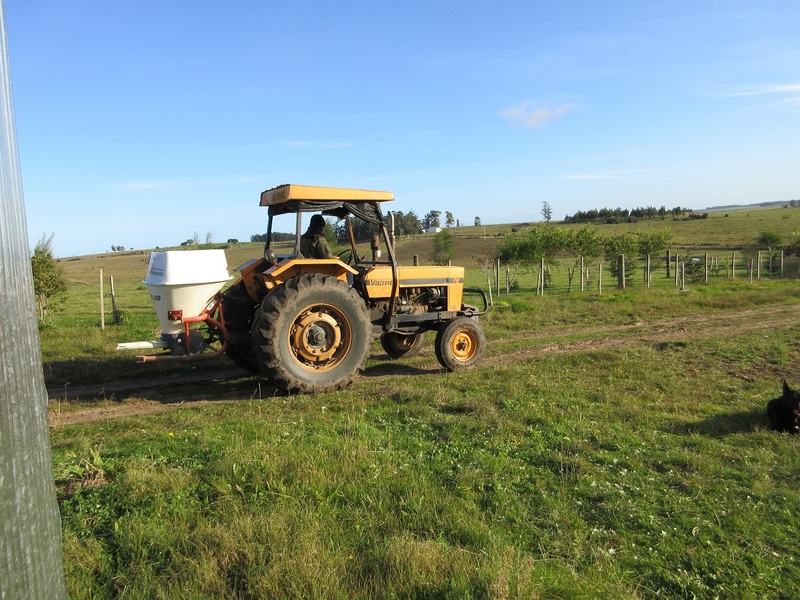 After a few months of impatience we managed to fertilize and seed parts of the pasture. The rabbit forage bed also got seeded in winter wheat. It’s slow due to the early cold but with a bit of patience we should have some more winter rabbit forage. 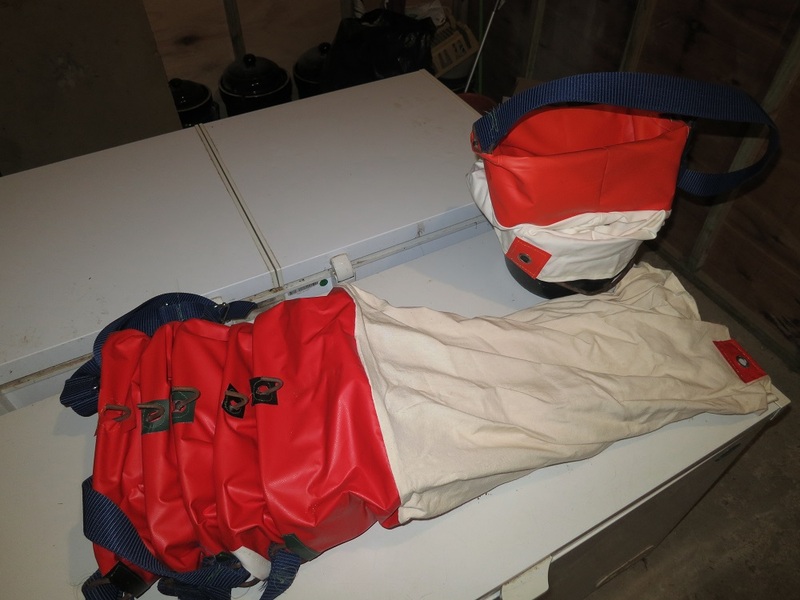 As with any garden, Winter is planning time! Onions, leeks, and celery are getting started now for spring planting – Tomatoes, peppers, and eggplants get started mid July, and from there is off and running. So right now the kitchen table is doing double duty as garden planning central. 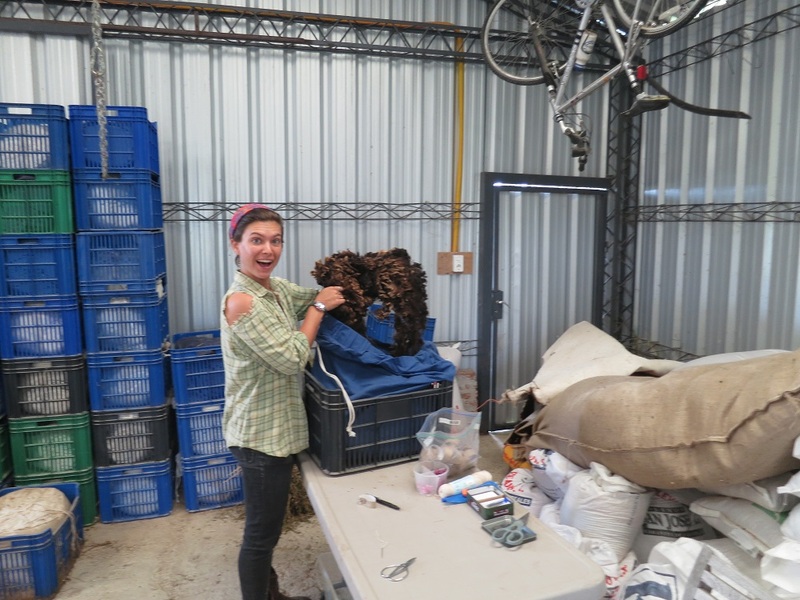 Megan (and I) can’t wait for the office to be finished so all the seeds and charts and notebooks and stuff moves off the kitchen table. Likely by then we’ll be trading seed packets for heads of early lettuce. As always, every year we learn a little bit more about the local climate and how to best handle the unexpected wind, rain, and droughts. Things will be done differently next year and it is all in the planning. In between rain squalls we have managed to finish the bulk of the chicken yard remodel. Remodel you say? What remodel? If you remember way back when Jason helped build (or built, depending on who you ask) the bulk of our chicken coop. Which we LOVE. But, as noted then, it wasn’t quite finished. Over time the feature list changed a bit and so while getting the last few things worked on we remodeled it a bit. 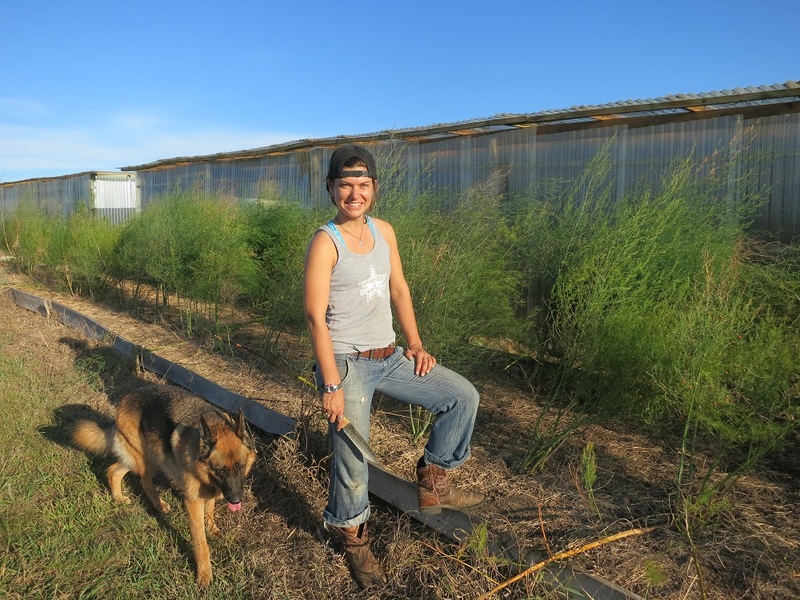 After all, two years’ experience with the chicken yard has taught us a lot. So, what did we do? 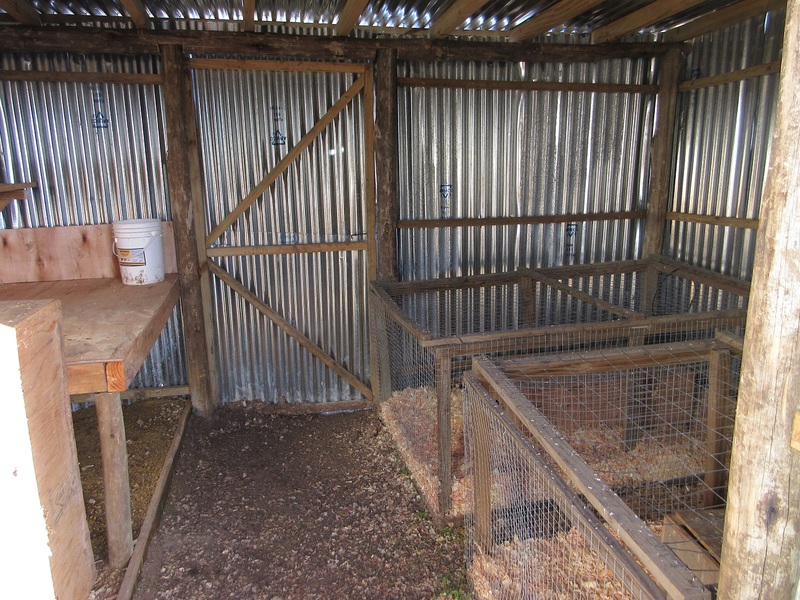 We built another building to the South of the main coop and shrunk the size of the main chicken yard a bit by putting up an interior fence to create both a second, small chicken yard attached to the new building and an entryway. . The second small building will be our incubator / brood house. We knew we needed to change the location of where to grow out our incubator chicks. The incubators had been on card tables in the small, not quite finished (see the trend here? ) guest house. But they couldn’t stay there long-term (some day we’d like a finished guest house). So, we needed a place for the incubators to be that was connected to electricity, free of drafts, able to be kept warm, easily visible, and accessible. After hatching, the baby chicks need to have a warm space they can move about in and have access to food and water. 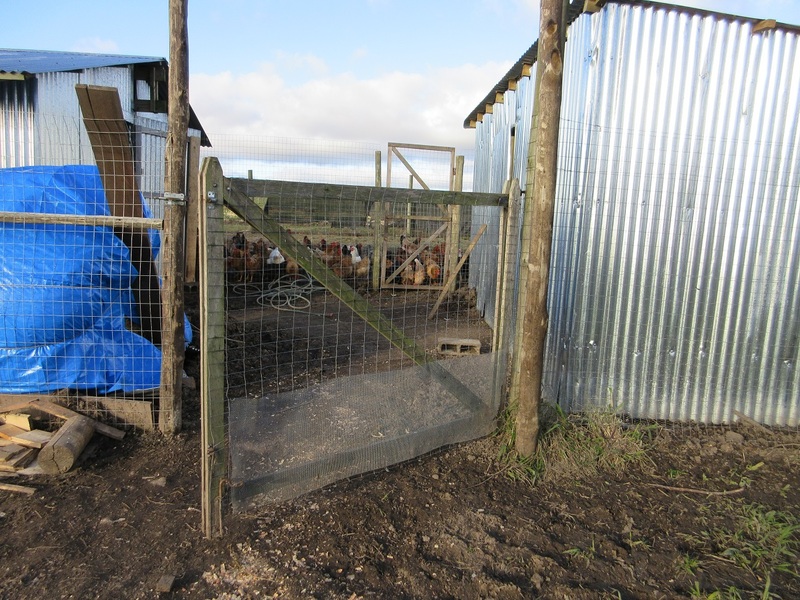 This part we did have – and it worked well – but it took up valuable roost space in the main chicken house. What we were missing after the chicks fledged from this smaller, contained and warmed pen was a place for them to roam as they grow out a bit more. We had been just turning them loose into the general population but that wasn’t quite ideal. 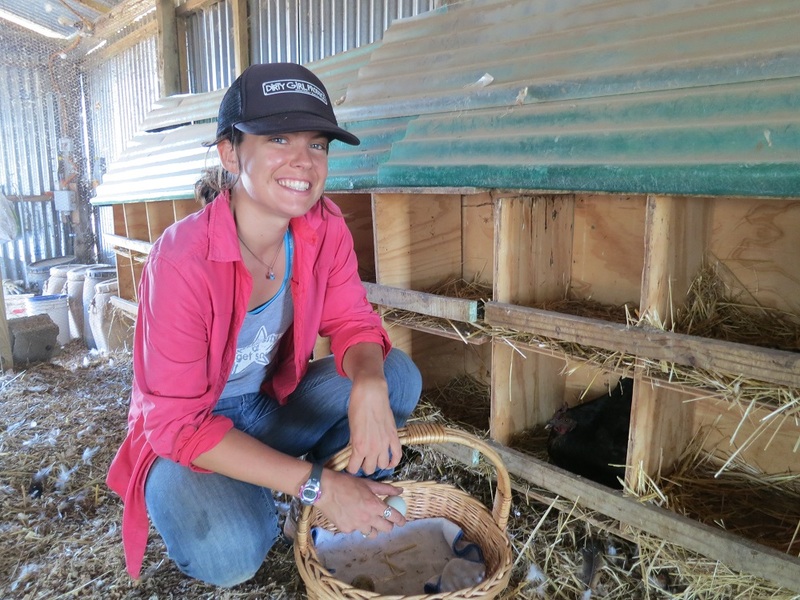 Yet they need to be able to go outside, but not compete with the larger chickens, while still be near enough to be seen and heard by the older chickens, which helps the chicks integrate into the larger, cohesive flock and not be so competitive as adults. So enter the brood house. It is almost ready to go. Still no electricity. Which really means it’s unusable. But for right now since we are in winter and it’s too cold to hatch chicks it’s not quite such a big deal. Give it a month and we’ll be scrambling for that electrical hook-up. 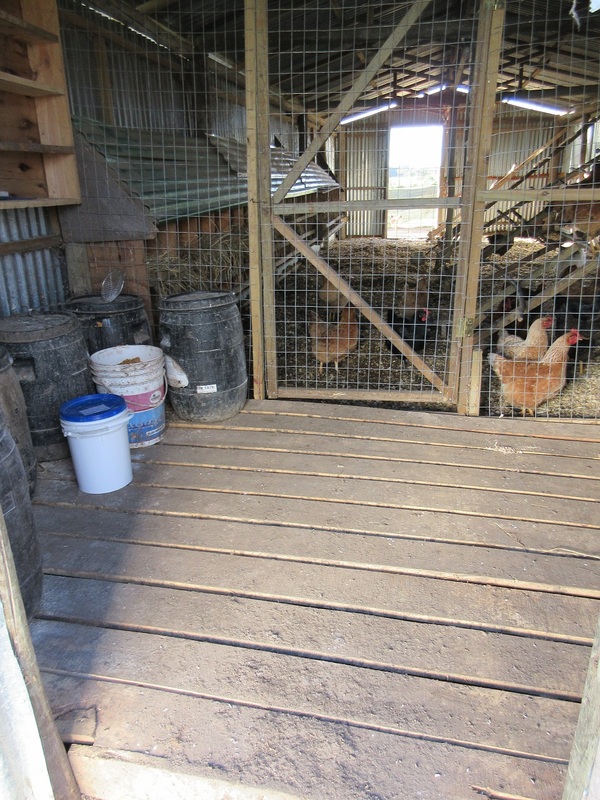 To further the remodel we also have put a floor at the entrance to the chicken house where we store the feed barrels and other supplies. It had been several inches of mud with the deluge, so a definite improvement. The interior door separating the chickens from the feed and storage materials also got a nice tweak and no longer gets stuck in all the bedding litter. We have a few little things left to do (as always) but the primary work is done. The drainage work is in progress (and when we get that done we’ll try and post about it. 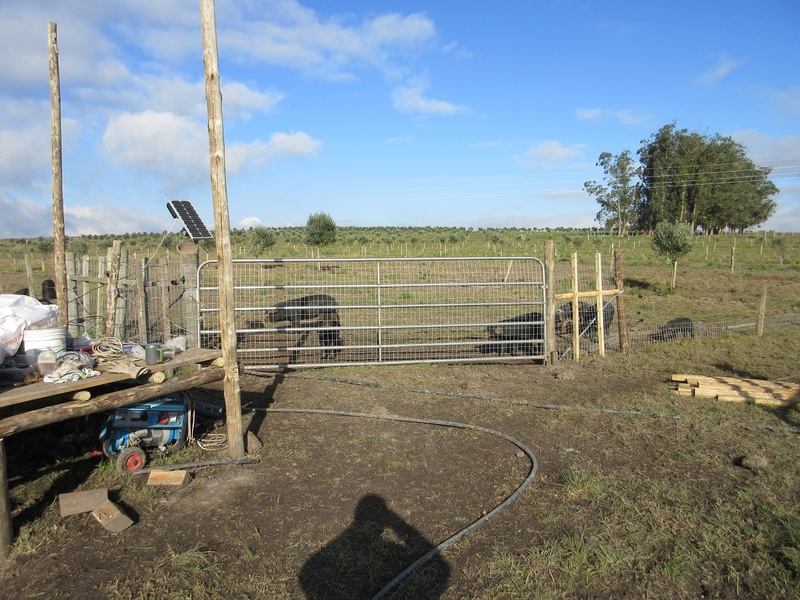 It might have to involve pictures, arrows, diagrams and a great deal of confusion) and until the winter mud has dried up we can’t finish a few thing. But otherwise, we are, once again, in love with the changes to the chicken yarn. We’ve also made a few adjustments with regards to our chickens. In the heat of the summer egg production diminished, which is understandable considering this year’s heat. Quite a few farms had chickens dropping dead from the heat. But with cooler weather has not come increased egg production. We haven’t been sure what to think. A neighbor, who also has chickens, shared she was not getting any eggs at all! So that made us feel a little better, but not much. Combined with sub-par egg production was the crowded state of the chicken yarn. 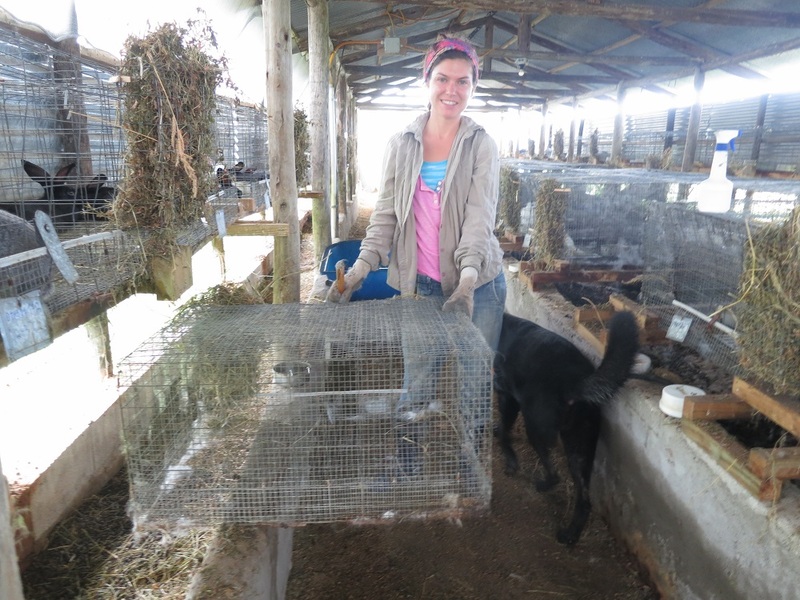 So one day we stood and counted bodies (several times, because counting moving chickens is an art form we have not yet perfected) – we had almost 175 chickens! Way to many, and way too many to send to freezer camp at one time. So Jon, Margo, Alejandro, Oscar, and Ruben took colored chicken bands (little pieces of plastic which wrap loosely around the ankle of the chicken, perfectly harmless) and sorted chickens. Imagine five people, a building so full of bedding litter that the ceiling is now short, and 175 annoyed, squacking chickens. Take a moment. Anyhow, after chickens got sorted into young, laying, old, and wrong breed, some got sent off to freezer camp and the rest went to the animal auction we went. We got an O.K. price per chicken, and spent the profits on chicken feed. We have noticed a big difference right away in the increase in eggs and a much calmer chicken yard! Less food competition? More individual space? (The weather sure didn’t change.) Who knows, but I am happy and the chickens are happy. They’ll be even happier when we send the last few off to freezer camp. Just in time for new chicks. S l o w e l y we are getting things settled as we learn our way to being farmers. 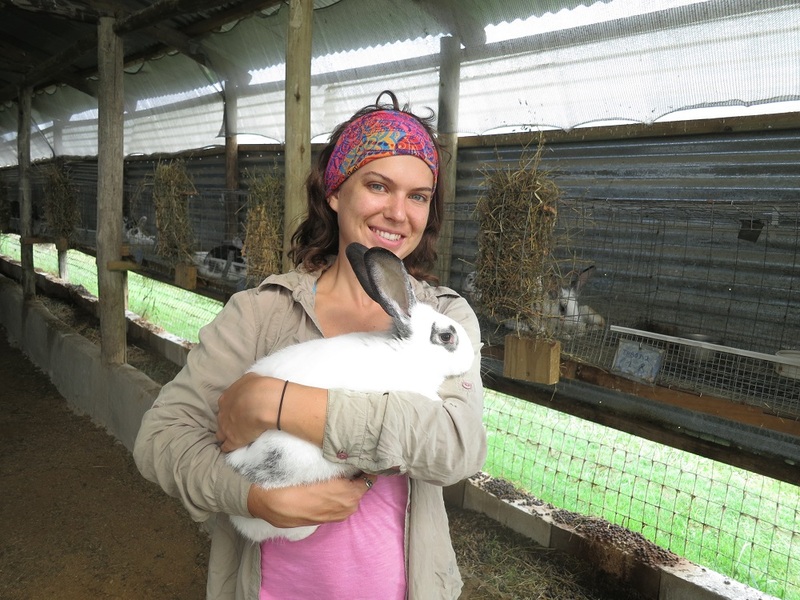 Even though we have been absent from the blog, we have been busy with the farm. 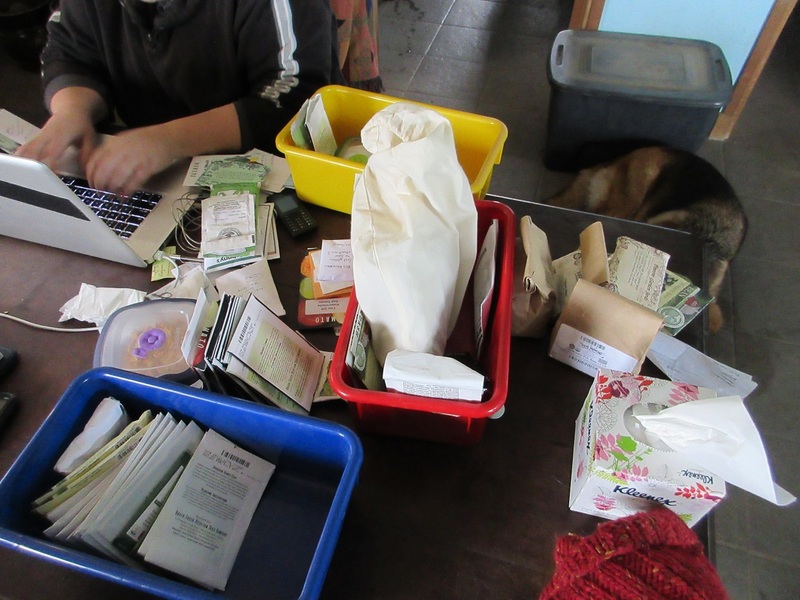 Actually, busy with the farm is one of the reasons why we have been absent from the blog. That and my camera broke. The blog isn’t nearly as interesting with no pictures. So, as I finally have a working camera, I will attempt to catch you up to date without too much talking. As we are now farmers, and weather controls our lives, I will begin there. Yes, we expressed our displeasure every chance we got at the lack of rain, for the second summer in a row. Then the forecast said little rain with very cold temperatures for the winter. Great! 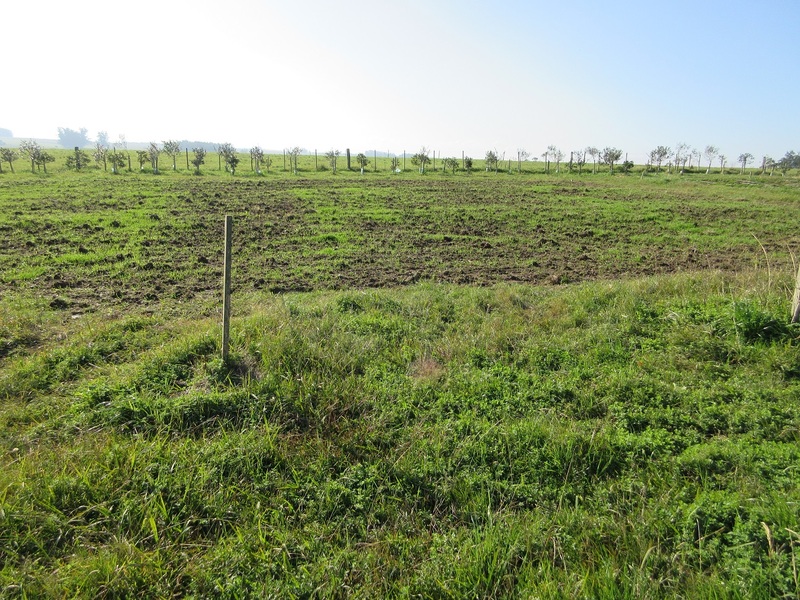 So pasture growth had been slow but with sun in the Fall and a little rain, we thought we could manage if we reduced the number of grazing animals. So our first wonderful rainfall, lasted three days and dumped 100mm! We had water running everywhere. The main roads were flooded and some bridges on the highway submerged. The rain came down so hard and for so long, the ground could not absorb it. The front pasture was a lake. We had just moved the sheep to another pasture, but not the horses. 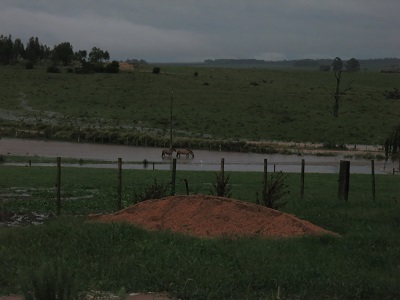 The horses did have higher dry ground to go to, but at this moment, they were fine being in a lake. Since that introduction to Fall, it has rained often enough that our campo has yet to dry out. We have good soil. The water just stays. We have had a few sunny days, but lots of cold days. 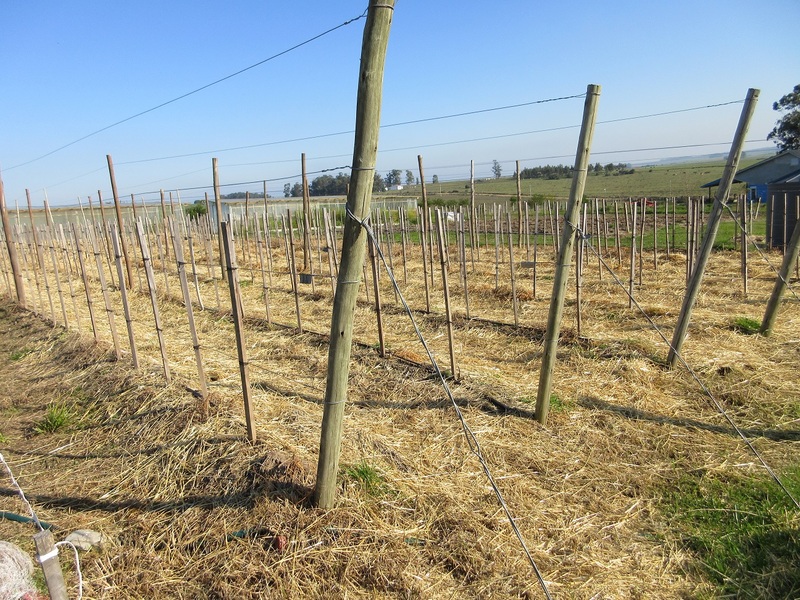 The temperature lingered around 12 C during the day and dropped to 2 C at night with intermittent rain. Fall forgot to come and Winter came early and has stayed. 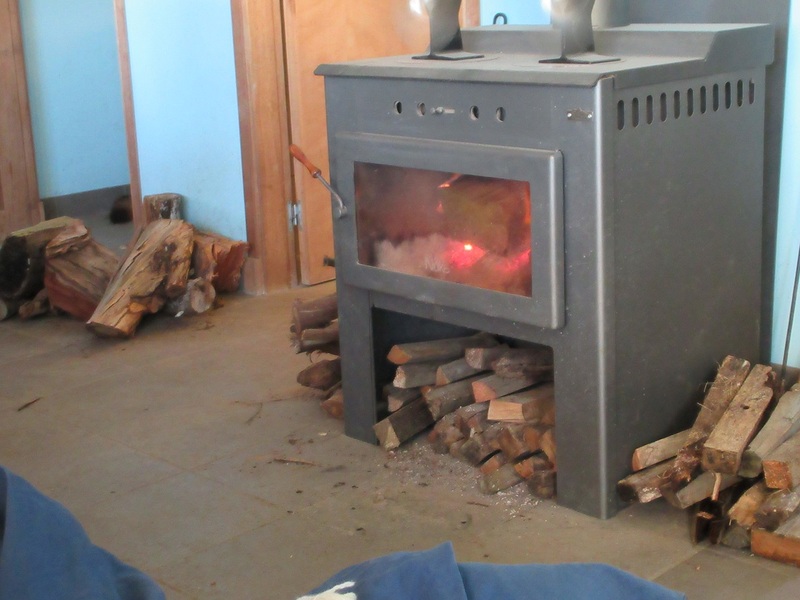 We started the wood stove in the house in April to get the chill off the house. Very early. At least we had firewood to burn. Most people we talked with had yet to stock pile their winter wood. 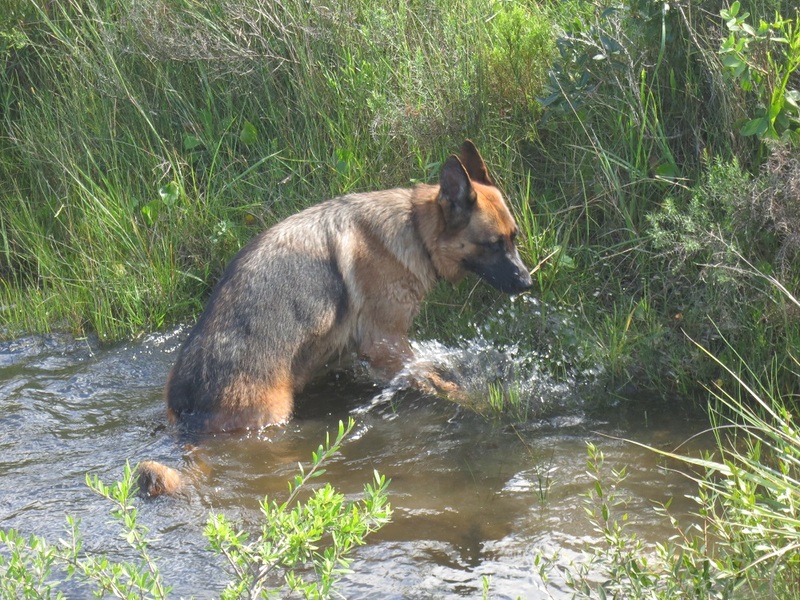 With the water comes mud, which leads to wet muddy dogs who enjoy playing in the water. 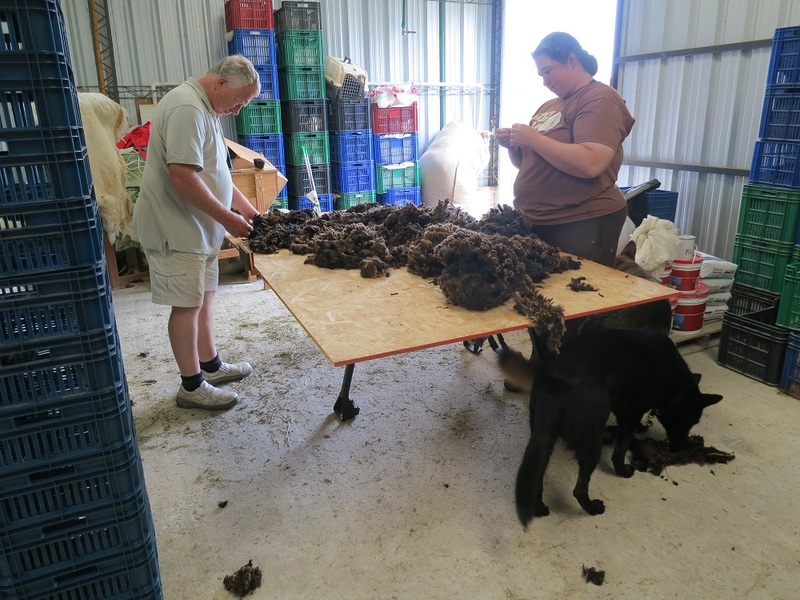 The dogs also enjoy being toweled off which helps to keep the floor cleaner and prevents raw spots from developing on the dogs. But with wet weather comes more laundry, oh joy. Wet weather and cold no sun weather means that hanging laundry on the line doesn’t work. So our little clothes dryer has been getting a work out. I guess we will manage to blame the weather for any inconvenience no matter what season. I’ll play catch up on our farm activities over the next few days and then, with a bit of luck, topics can turn to what we’re up to now. P.S. 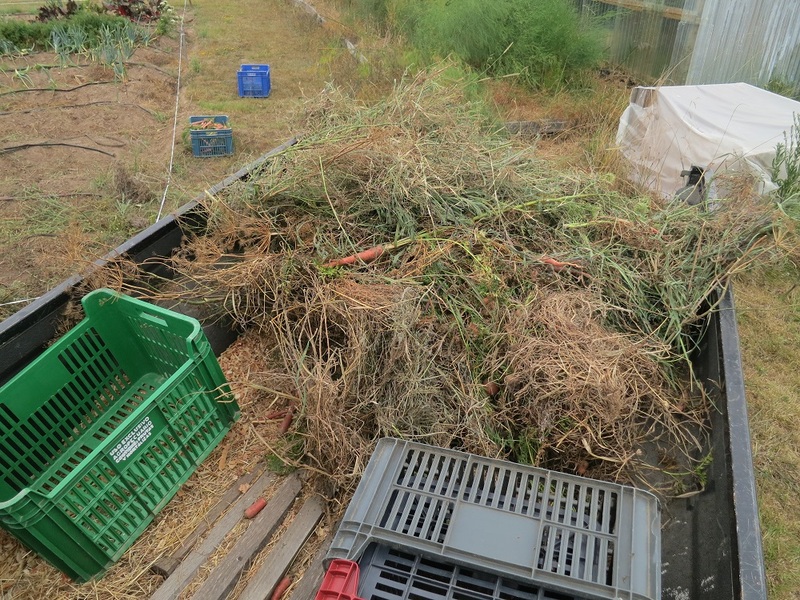 The blog left off with the Olive harvest. It happened. It was semi-successful (the rain cam DURING the harvest) but we sold the olives, and we’ll talk more about all of it later. 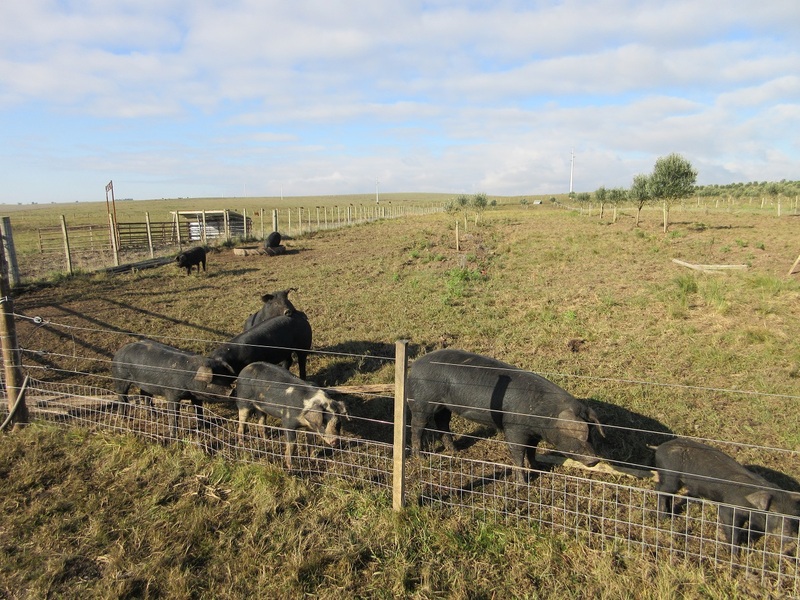 As you have heard us say over and over again, the drought has affected everything on the farm. Our olive harvest has taken place the first week in April for the last two years, but this year it will be about the middle of April. 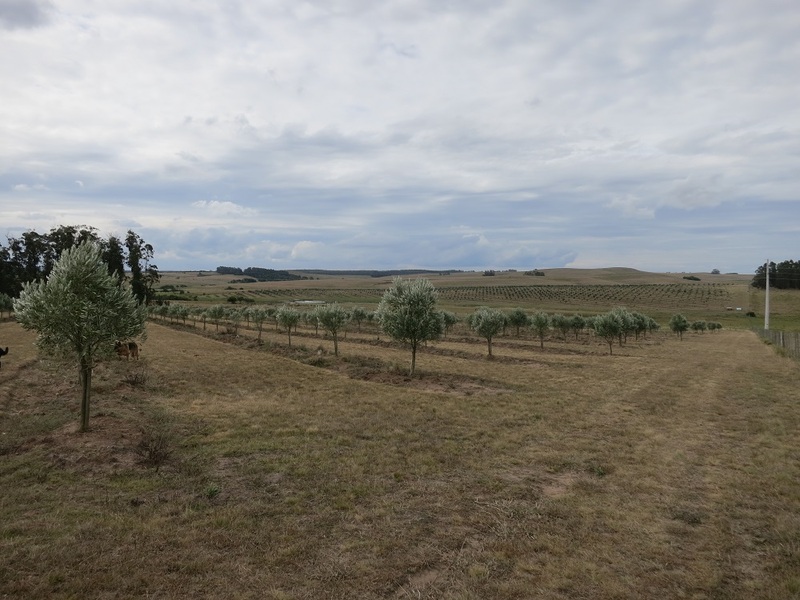 We are the last olive planation in our area to harvest, our olives just are not ready to be picked any earlier. The trees look good and are full of olives. 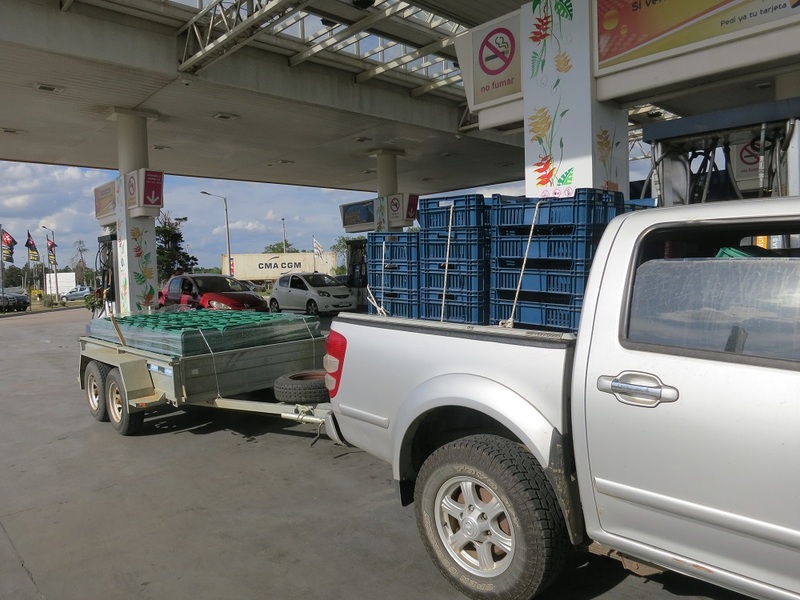 We drove into Montevideo and purchased more olive crates in anticipation of a larger harvest than last year. We purchased more harvest baskets since last year we only had two, and they were a big hit with our crew. Now I just have to get the menu settled and pre prep all the meals I can in order to daily feed the harvest crew a hearty lunch. We have had bags of wool calling our names every time we enter or walk past the galpon. 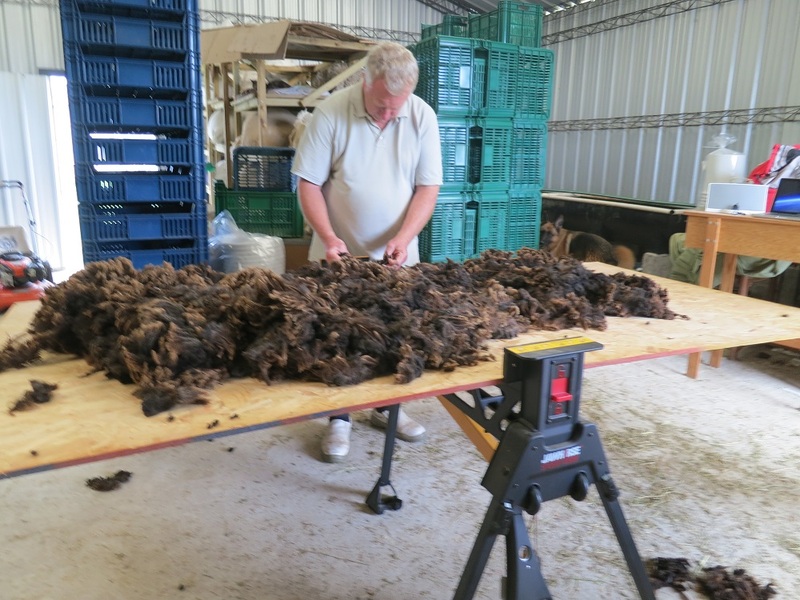 We have wool that needs to be skirted, waste wool that needs to go to the garden, and wool that needs to be sorted for color and quality to be packaged for sale. To say we are a little behind in this process is an understatement. Bag by bag it is slowly getting done. This is a rainy day project that has not been touched because we have had so few rainy days this year. 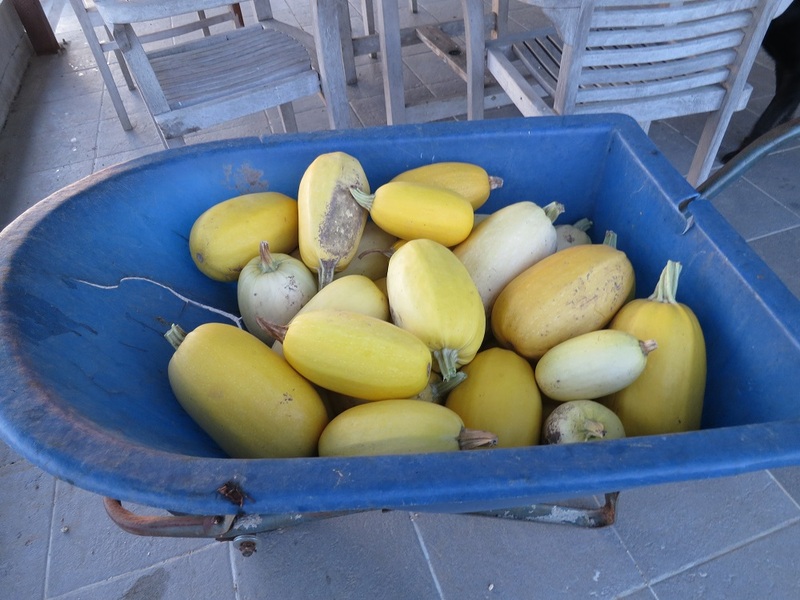 The squash likes the hot dry weather. 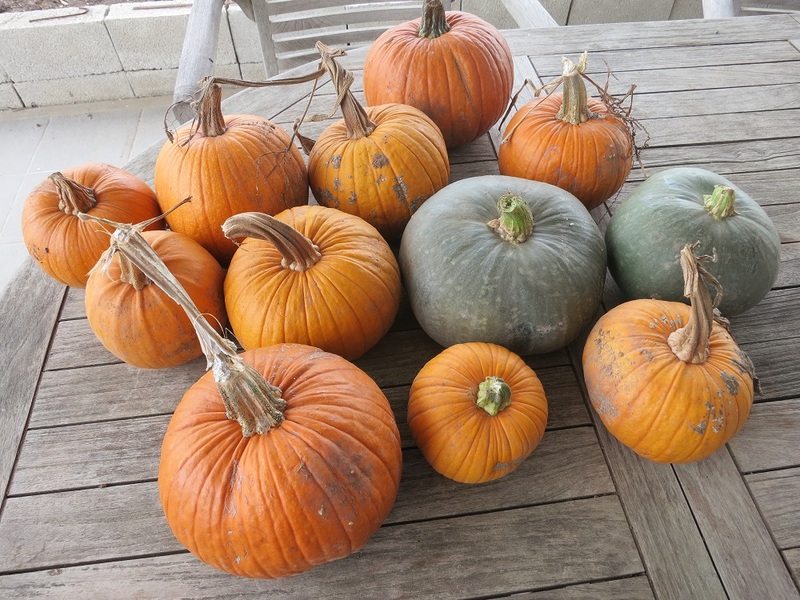 The pumpkins are New England Pie and have been the first to ripen. 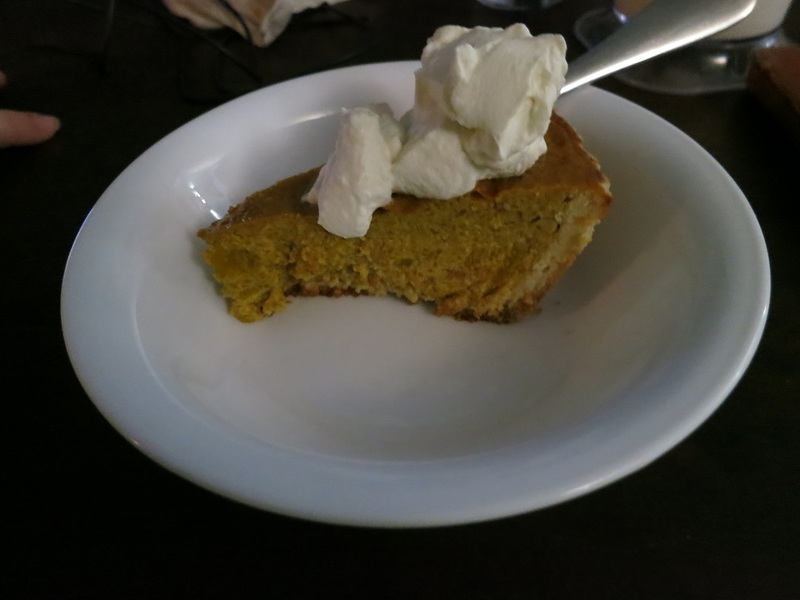 Not only have the pigs enjoyed the pumpkins, but the dogs get a serving of pumpkin puree in their dinner, and of course, we had to have pie! The drought has made gardening a little difficult. The carrots were so hard to get out of the ground, you had to chisel them. Then, they were not happy with the low volume of water and began to show the stress. So we had our guys help us to pull them all up, at once. And off to the pigs it all went.